Eight players returned to finish out play in Event #22: $10,000 No-Limit 2-7 Lowball Draw Championship, and leading them at the start of the day was John Monnette. Monnette carried that lead for most of the day and applied relentless pressure, made the right decisions, and ran good as well, all culminating in the capturing of his third World Series of Poker bracelet. It looked like Mike Leah would be able to challenge Monnette. Leah quickly dispatched of Paul Volpe. Both players had draws to a seventy-six low, but Leah made a better ninety-six. and Volpe hit the rail. Unfortunately, immediately after that, Leah doubled up Xavier Kyablue when Kyablue hit his draw against Leah’s pat jack-low. Kyablue finished him off just a few hands later and moved into the chip lead for a short time. Mike Gorodinsky fell next. He seemed to always be on the wrong end of a cooler. It was Monnette who finished him off. Both players stood pat with a ninety-six low, but Monnette had him just pipped and Gorodinsky hit the rail. It was then that Kyablue quickly lost the chip lead. He tried to run a bluff against Monnette, but Monnette called him down with a ninety-seven low and was good. Kyablue was the next to go in fourth. He was eliminated by Darren Elias when Elias stood pat with a ninety-eight and Kyablue’s draw bricked out. The final three players then hit a stalemate. Chips were traded back and forth between the players, but it was Elias who fell short first. He lost a couple pots to Monnette and eventually got it all in against Monnette for the rest of it. He couldn’t catch up and hit the rail in third. This was a relief to Monnette, who considered Elias to be one of his toughest opponents. 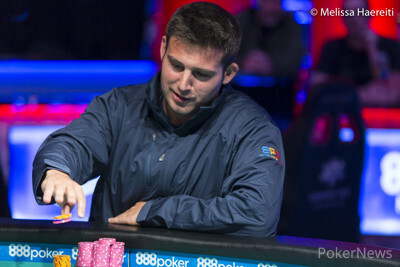 Monnette held a monster chip lead coming into heads-up play, and it didn’t take too long to finish off Hildebrand. 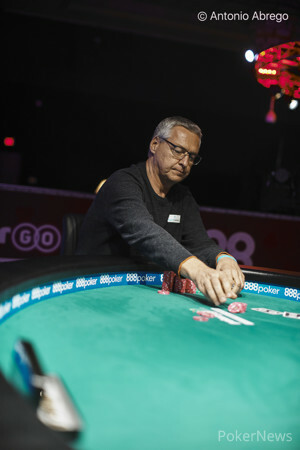 Hildebrand was able to double up once, but eventually, he ran out of chips when Monnette was dealt a pat eighty-six and Hildebrand was only drawing to an eighty-seven. Monnette took home $256,610 for his victory and locked up his third bracelet, with his first coming in 2011 in the $2,500 Eight-Game Mix, and his second coming in 2012 in the $5,000 Seven-Card Stud. But, for Monnette, this bracelet was different for him. Per Hildebrand opened to 125,000, and John Monnette three-bet to 400,000. Hildebrand four-bet jammed all in, and after getting a count, Monnette called, once again with a chance to win his third bracelet. Monnette patted, and Hildebrand drew one. Monnette tabled an for an eight-six and Hildebrand said, “That’s good,” revealing an , drawing dead. 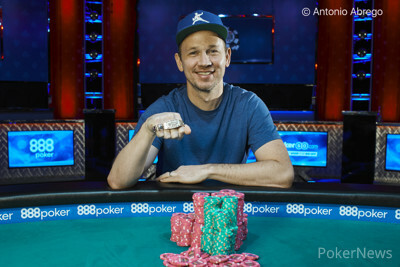 Hildebrand banked $158,596 for his runner-up finish while the $10,000 NL 2-7 Champion John Monnette earned $256,610 and his third WSOP gold bracelet. Per Hildebrand opened with a raise to 150,000. John Monnette called. Both players drew one, then Monnette checked to Hildebrand. Hildebrand bet 235,000, and Monnette called. Hildebrand showed , and that was good to take the pot. John Monnette open-jammed, and Per Hildebrand called, putting himself at risk. Monnette stood pat, tabling a , and Hildebrand drew one, turning over a .
Hildebrand drew a to stay alive and double up. John Monnette raised to 100,000, and Per Hildebrand called. Hildebrand took one, while Monnette took two. Hildebrand then checked to Monnette, who bet 135,000. Hildebrand called. Monnette showed , and that was good enough to take down the pot. Other than a few walks and some raise-and-takes, this heads-up battle has been all John Monnette. Monnette has won the last four pots. In the first hand, Per Hildebrand opened, and Monnette defended. Monnette drew one and bet 250,000. Hildebrand folded his pat hand. The next hand, Monnette opened, and Hildebrand defended. 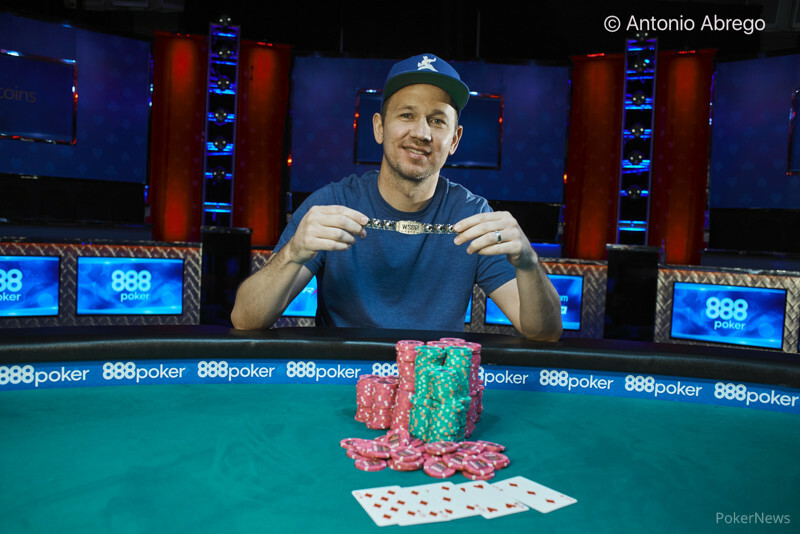 Both drew two, and Hildebrand called a bet of 100,000 from Monnette, mucking when Monnette tabled a ten-nine. The third hand, Monnette three-bet Hildebrand's open and took it down. 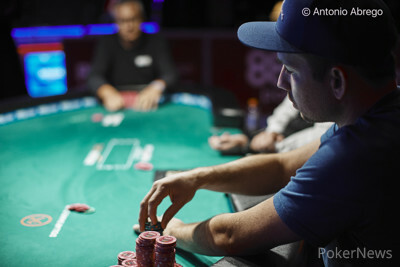 In the final hand of the run, Monnette opened to 95,000, and Hildebrand defended. Both drew one, and Hildebrand check-called a bet of 125,000. Monnette tabled a nine-eight, and Hildebrand mucked. John Monnette raised to 100,000. Next to act, Darren Elias moved all in. Monnette thought for a while, then called. Elias took one, while Monnette stood pat holding . Elias showed and was drawing live, but a came for his draw, pairing him and eliminating him from the tournament in third place. Elias collected $110,944 for his third-place finish. A New Name Etched in Poker History... Who Will it Be?